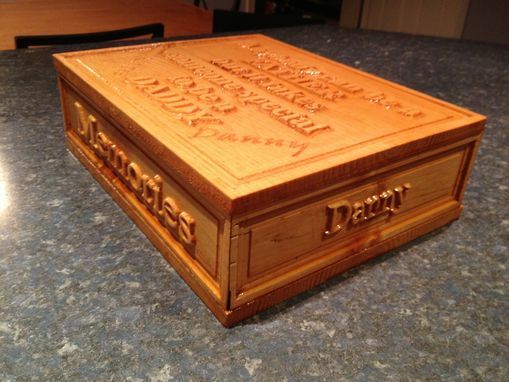 This memory box is big enough to hold your child's artwork or other mementos from school. 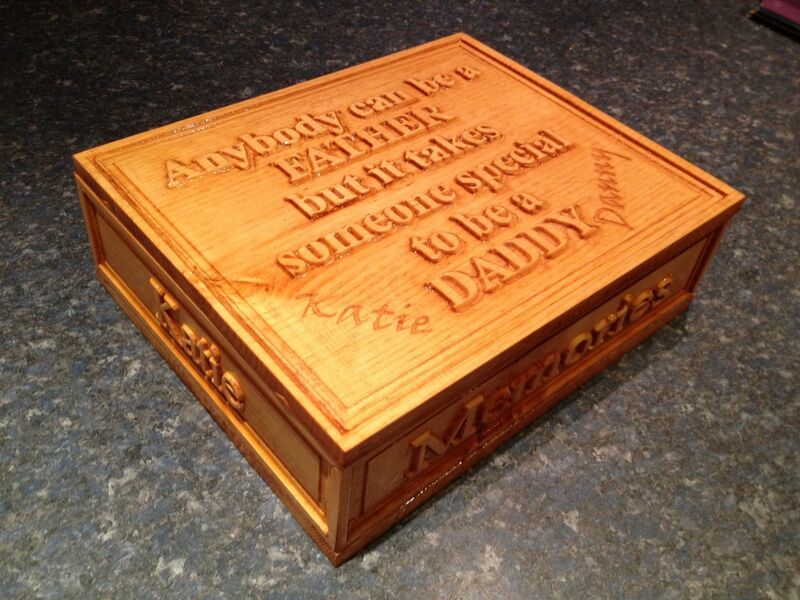 The top can be engraved with your children's names on it, and the sides of the box also have the names on it. 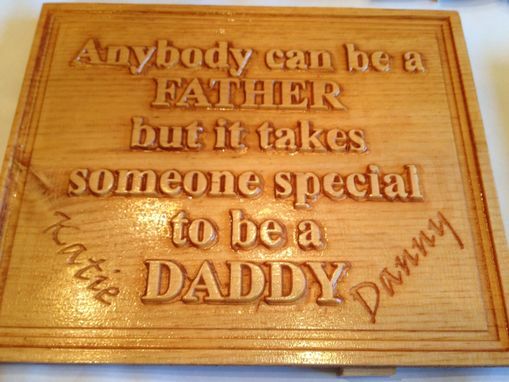 This is a very nice 100% custom alternative to the same old bow tie for Father's Day. 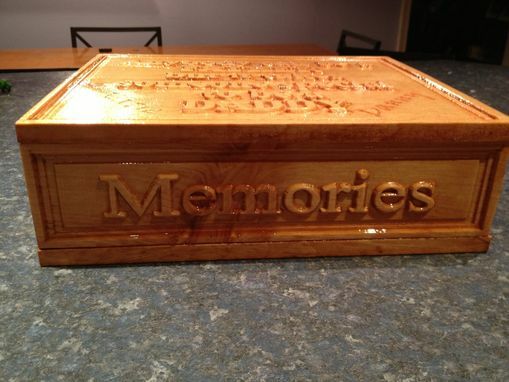 (Bow tie can fit inside of the box) This can be stained any color.